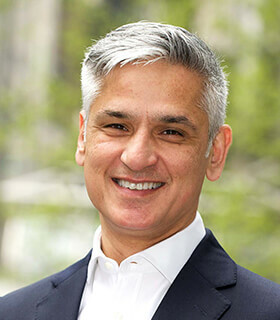 SmartStream Technologies has set up a new team to respond to cash and liquidity regulation requirements, and appointed Nadeem Shamim to lead the department globally. Shamim has been with SmartStream, a financial transaction management software company, since August last year, having joined as a cash and liquidity management strategic advisor. In the new team he is joined by two other internal hires: Paul Randell and Richard Morris, who both become product managers, reporting to Shamim. The team has been formed as part of a strategy to comply with new Prudential Regulation Authority rules that govern liquidity management for the UK and foreign branches. Shamim has over 30 years of experience in treasury, cash and liquidity management within transaction banking and treasury consulting across Europe and Asia. Prior to SmartStream, he was at Standard Chartered where, in his role as managing director, he was responsible for corporate treasury solutions. Before that he was head of the Emea financial institutions at JP Morgan, focusing on regulations and cash management. He has also had stints at Emerald Life, HSBC, Enterprise Bot and Saffron Advisory. At SmartStream, he will report to Vincent Kilcoyne, head of product management. “Nadeem brings with him solid experience of strategic advisory and innovative thinking in bank transformation, treasury risk management, fintech and supply chain financing,” says Kilcoyne.